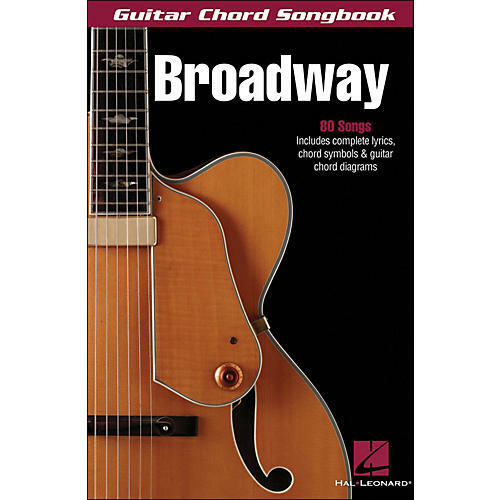 80 stage hits fit for strumming, with complete lyrics, chord symbols and guitar chord diagrams. Titles: Ain't Misbehavin' • All I Ask of You • Any Dream Will Do • Bali Ha'i • Bewitched • Blue Skies • Don't Cry for Me Argentina • Edelweiss • Getting to Know You • Hello, Dolly! • I Love Paris • Let Me Entertain You • Memory • My Funny Valentine • Ol' Man River • People • Seasons of Love • Sunrise, Sunset • Try to Remember • and more.